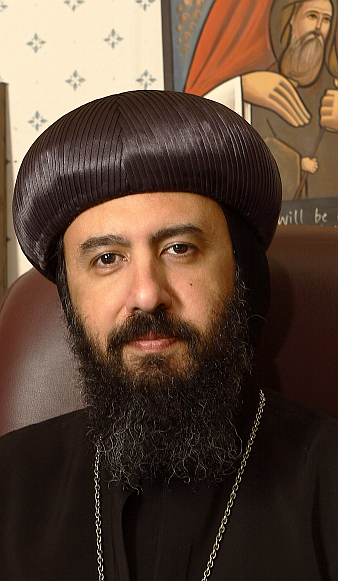 Statement on the government proposal to legalise assisted suicide By His Grace Bishop Angaelos, General Bishop of the Coptic Orthodox Church in the United Kingdom. As we approach the UK Parliament debate on the proposed ‘assisted dying bill’, we must ensure that this discussion is conducted within the context of a clear understanding of the sanctity of life and the inevitability of death. At the outset, the selective use of the term ‘assisted dying’ over ‘assisted suicide’ shifts the focus from the fact that this act will essentially legitimise and facilitate the premature taking of one’s own life. We have an age-old duty of care, especially to those closest to us, and this proposed change could in certain situations deprive us of giving that care to those who may consider themselves purely as a burden, and thus seek the premature ending of their own lives. It is encouraging that the vast majority of doctors and healthcare professionals entrusted with front-line care for terminal patients see their role as being either to provide treatment or the appropriate palliative care, according to their medical judgement, but not as actively encouraging or taking part in ending life. In not knowing when life will end, we continue to live that life to its fullest and impact the world around us, even at an advanced age or when experiencing the greatest illness. If we are now placed in a position to decide when life can or should indeed end, whether it be ours or others, this could significantly affect how we live our life, and would create a constant dilemma for many as to when the ‘right time’ to end it would be. One unsettling element of the proposed bill is that it qualifies a person for assisted suicide if he or she is “reasonably expected to die within six months” leaving no room for the uncertainty which we know to still be part of our medical science even today. My own pastoral experience has brought me to minister to many diagnosed with terminal illness who have lived far beyond their prescribed life-expectancy. One brother bishop in particular who was told that he had 6 months to live 7 years ago continues to effectively shepherd his flock until today. At a time when we see tens of thousands of people coming to our shores, fleeing death and seeking a better chance of life, this bill essentially seeks to advocate for those within those same shores to end their lives; a stark contrast indeed. Rather than looking at ways to legitimately end life, our focus should be on how to allow people to live and safeguard it as a precious gift. Regardless of the outcome of this debate, it must be acknowledged that being in a place where death seems preferable to life, whether our own or others, is one of immense pain, and so we pray comfort for those suffering that pain, those seeing loved ones suffering before them, and for the wide variety of healthcare and support professionals who deal with them at various stages of their journey. This entry was posted in Featured News, News and tagged Bishop Angaelos, Coptic Orthodox Church, UK, United Kingdom by Orthodoxy Cognate PAGE. Bookmark the permalink.